Snowball Fight!!! An active way to practice mi, re, and do. 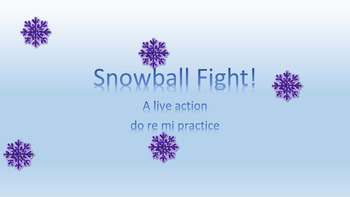 The groundhog said we have 6 more weeks of winter so let's make the most of it and have one last snowball fight!!! This game is a combination of capture the flag and freeze to practice aurally decoding mi, re, and do. Students listen to the audio file and then try to steal the correct "musical ice block" from the opposing team's snow fort before the other team. Look out! If you get tagged with a snowball you have to freeze until Jack "de"Frost can thaw you out. This product includes a PDF and a PowerPoint. The PDF includes 7 printable "ice blocks" in both stick notation and standard notation and detailed directions on how to play the game. The PowerPoint plays the 7 "rounds" with audio files to help run the game. 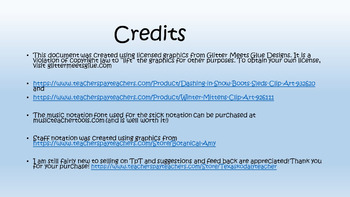 You can display the PowerPoint for all to see or just use it for the audio files. 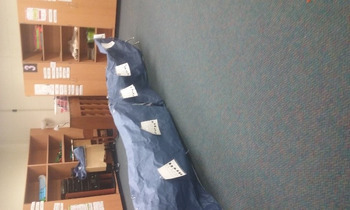 In addition to these two files you will need to put together 2 "snow forts" (I used butcher paper and chairs), scratch paper, 1 pool noodle cut in two, and safety goggles from the science lab. Take practicing pitches to the next level and hook in those reluctant learners!